For those not familiar with the ancient art of Ninjutsu, stealth and deception are used by a Ninja warrior to gather information whilst remaining undetected, using super secret techniques. Mr. Go-Suto practices those same evasive techniques to gather and produce excellent blogs on highly interesting topics. He utilizes his “stealth” by looking for topics that aren’t well covered or explained on the Internet, and assassinates all competition by putting together the best source of information on such subjects. If only we could figure out his true identity, then again – maybe we don’t want to know. 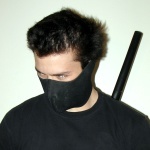 One thing’s for certain though, Ninja Go-Suto is a highly skilled BlogSavy topic assassin and that’s good enough for us.